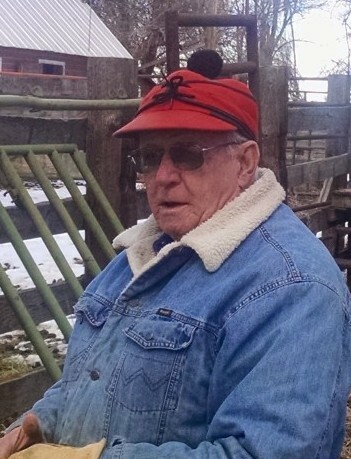 Victor Curtis “Curt” Hughes, Jr., 83, passed away at his residence in Hot Springs County, Wyoming, March 13, 2019. Born in 1936 in Lusk, Wyoming, he was one of five children of Victor and Eva (Wentworth) Hughes, Sr. Curt graduated from Shoshoni High School in 1954. He later joined the Army serving two years stateside. For most of his life he worked in the oilfields, the most recent as a pumper for Atlantic Richfield at Hamilton Dome. Following retirement he enjoyed his ranch. In the early 1960’s he married Laurelye Deringer. The couple later divorced. In 1981 he married Donna (Hopperstad) who brought two children to the union. In addition to horses, Curt enjoyed events of cutting and team penning. He assisted in the organization of the Wyoming Cutting Horse Association and served a time as President. Those cherishing his memory are his son, Gordon Hughes and wife, Cynthia of Sun Valley, NV; sister, Patricia Collins and husband, Jim, of Cheyenne, two step grandchildren; nieces, nephews and many friends. He was preceded in death by his parents; wife, Donna and three siblings, Walt, Bob and Shirley. A Celebration of Life will be held later in the spring. Memorials may be made to the Wyoming Cutting Horse Association.